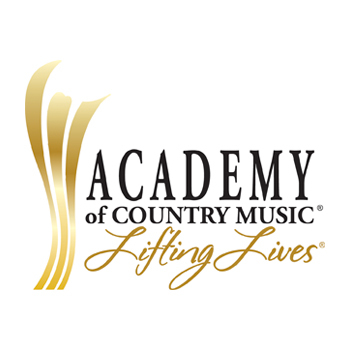 ENCINO, CA (June 11, 2018) – ACM Lifting Lives® and the Vanderbilt Kennedy Center for Excellence in Developmental Disabilities will partner again for the 9th Annual ACM Lifting Lives Music Camp, June 13-June 20, 2018, in Nashville, TN. Country music artists Danielle Bradbery, Brandon Lay, Kip Moore, Cassadee Pope, Hillary Scott, and Songwriters Ross Copperman and Jon Nite have graciously agreed to volunteer their time with the campers at various points throughout the week. The finale will take place Tuesday, June 19, 2018 on the stage of the Grand Ole Opry as ACM Lifting Lives Music campers offer a live performance with country music artist and Opry member Craig Morgan. Encino, CA (May 23, 2018) – Over the last ten years Live In The Vineyard (LITV) has become one of the most exclusive and sought-after tickets across the country as a private festival and last week they went Country for the first time ever, in partnership with the Academy of Country Music®. The inaugural Live In The Vineyard Goes Country took place amidst the lush scenery of Napa, California, and featured an incredible headline performance by 14-time ACM winner Carrie Underwood and unmatched intimate acoustic performances by Carlton Anderson, Cam, Cash Campbell, Cale Dodds, Lindsay Ell, Hunter Hayes, Jillian Jacqueline, Maddie & Tae, Ashley McBryde, Jerrod Niemann, Old Dominion, Parmalee, Eric Paslay, Maggie Rose, Mitchell Tenpenny and Rachel Wammack. In partnership with Kendra Scott Live In The Vineyard Goes Country helped raise proceeds benefitting ACM Lifting Lives®, the philanthropic arm of the Academy of Country Music dedicated to improving lives through the power of music. The event, which brought in roughly 350 attendees to Wine Country with the help of Visit California, was captured by CMT Hot 20 Countdown with the help of co-hosts Cody Alan and Katie Cook. Fans can tune in Saturday, May 26th and Sunday, May 27th at 9am EST on CMT for the special Memorial Day weekend episode. WHAT: The Academy of Country Music® will present a songwriter event, ACM Stories, Songs & Stars, on Friday, April 13, 2018 at The Joint, Hard Rock Hotel & Casino as part of the 6th Annual ACM Party for a Cause®. An upscale evening modeled after an old-fashioned guitar pull, ACM Stories, Songs & Stars will feature 53rd ACM Awards® Songwriter of the Year nominees – ranging from the most commercially successful to the most critically-acclaimed composers – alongside some of the biggest names in country music performing the songs they composed, telling the stories behind how those collaborations came together. The celebration will also highlight surprise performers sharing the stories behind their biggest hits. Eleven-time ACM Award winner Charles Kelley of multi-platinum trio Lady Antebellum, and multi-platinum country music star Darius Rucker will host the first-ever ACM Lifting Lives® Topgolf Tee-Off on Saturday, April 14, 2018 at Topgolf Las Vegas at MGM Grand Hotel & Casino as part of the 6th Annual ACM Party for a Cause®. Attendees will have the unique opportunity to take in LIVE performances from the hottest new talent in country music and play golf, while country artists compete in a tournament of golf skills. February 26, 2018 – Musicians On Call (MOC), a nonprofit that brings live and recorded music to the bedsides of patients in healthcare facilities, has received a $150,000 grant from ACM Lifting Lives®, the philanthropic arm of the Academy of Country Music, to bring its Bedside Performance Program to patients, families and caregivers in Las Vegas. Musicians On Call’s Bedside Performance Program brings live, in-room performances by Volunteer Musicians to patients undergoing treatment or unable to leave their beds. Since 1999, Musicians On Call has performed for over 625,000 patients, families and caregivers in 17 major markets across the country. This will be the first ongoing Musicians On Call programming taking place in Las Vegas at Sunrise Health System hospitals. ENCINO, CA (February 20, 2018) – The Academy of Country Music® announced the full schedule of events and performances for the 6th Annual ACM Party for a Cause® set to take place at select venues across the Las Vegas Strip on April 12-15, 2018. More than 40 of country music’s most celebrated artists as well as emerging talents have been revealed today as performers, including headlining artists Kelsea Ballerini, Lee Brice, Chris Lane, Kip Moore, Old Dominion, Jon Pardi, Thomas Rhett, and Chase Rice. Encino, CA (January 18, 2018) – The Academy of Country Music® is announcing new hires in four departments, including new Assistant, Creative & Content and Marketing departments Bridget Cirone; Coordinator, Events Lanni Gagnon; Senior Manager, Strategic Partnerships Jen Heaton; and Coordinator, Awards & Membership Carrie Tekautz. All positions are based out the Academy’s headquarters in Encino, CA. ENCINO, CA (December 7, 2017) – ACM Lifting Lives® announced its 2017 fall grant cycle beneficiaries today with grants totaling more than $260,000 for a selection of organizations including Barefoot Republic, Inc., Camp Sunshine Inc., COPD Foundation, CreatiVets, El Paso Symphony Orchestra Assn., Inc., Every Child Counts, Follow Your Heart Arts Program, Inc., Foundations of Music, Girls Rock Santa Barbara, High Hopes Development Center, Legacy Music Alliance, Louisiana Philharmonic Orchestra, Middle Tennessee State University Foundation, Music for Seniors, Music Mends Minds, Musicians on Call, Nashville Songwriters Foundation, Inc., Operation Song, Peggy R. McConnell Arts Center of Washington, Porter’s Call, Rocketown of Middle Tennessee, St. Anna's Episcopal Church, Tennessee Alliance for Kids, The Quest Center for Art & Community Development and Vanderbilt Kennedy Center. Partnerships with artists and generous giving from fans and the Nashville community enable ACM Lifting Lives to provide funding to organizations that share the same mission, and strive to improve lives through the power of music. Encino, CA (December 7, 2017) – ACM Lifting Lives® featured Grammy nominated vocal group Little Big Town in a house concert benefiting MUSIC & MEMORY℠ on Thursday, November 16, 2017. Philanthropists Johnathon and Newman Arndt graciously hosted an intimate evening of music at their Nashville estate with ticket proceeds going to Music & Memory — a fast growing non-profit organization that uses music to change the lives of people living with Alzheimer’s, dementia and other cognitive challenges.